Twisters, we are happy to announce a major new milestone: 2 million daily active users. People from all around the world are enjoying their music, videos and podcasts on their Android device using doubleTwist on their way to work, at the gym or school, or while lounging at home. To celebrate we are doing a sale (50% off!) 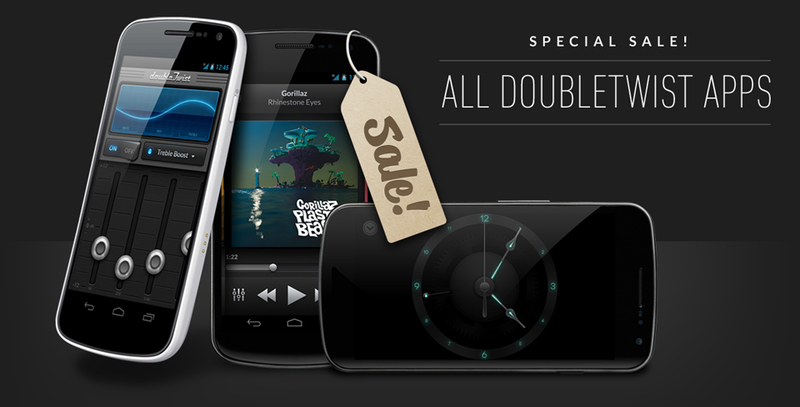 on our most popular apps, including doubleTwist Player in-app upgrades, AirSync and doubleTwist Alarm Clock. The sale will start tonight California time so stay tuned and keep an eye on our Twitter account or Facebook page.